Traditional rulers in the country have been urged to support the feed Nigeria project of the present administration by effectively mobilizing their subjects to embrace farming. President Muhammadu Buhari made the appeal while hosting a broad group of royal fathers from across the country to the breaking of the Ramadan fast at the presidential villa Abuja. The Executive Secretary Nigeria Pilgrims Commission, Reverend Tor Uja advocates the need for African leaders to develop religious sites to enhance spiritual development and attract foreign investment. The Federal Government says it is emphasizing knowledge and intelligence driven approach in tackling the nation’s security challenges through enhanced capacity of personnel of Nigerian Armed Forces. President Muhammadu Buhari said this in a message to the inauguration of the Nigerian army resource centre in Abuja. Troops of 121 task force battalion, 26 task force brigade, accompanied by a large number of civilian jtf from Gwoza, embarked on a very aggressive patrol that dislodged remnants Boko Haram terrorists hibernating at Ngoshe and Gava Villages, located close to Gwoza on the mountainous terrain. A statement signed by colonel Sani Kukasheku Usman acting director army public relations says the essence of the robust patrol which was supported by the Nigerian Air Force and Cameroonian Defence Force who provided air cover and real time intelligence surveillance and reconnaissance, was to clear the remnants of the terrorists hiding in the mountainous area and rescue all persons held hostages by the Boko Haram terrorists. The statement says although the number of terrorists killed could not be ascertained, quite a number of them were seen falling over the mountains when engaged. It is equally believed several others escaped with gunshots wounds. The troops were also said to have recovered quite a number of arms and ammunition. these include; 1 rocket propelled grenade (rpg) tube, 4 rpg bombs, 1 General Purpose Machine Gun (GPMG), 1 Fabrique Nationale (FN) rifle and 3 ak-47 rifles. The troops did not find any hostage in Gava. However, they rescued 16 civilians held in Ngoshe Prison, while many residents of the town saw it as an opportunity to flee from the town; both the rescued and the freed persons are being profiled by the troops. The Secretary to the Government of the Federation Babachir David Lawal has condemned recent separate statements credited to the Senate President Bukola Saraki and the Deputy Senate President Ike Ekweremadu describing them as uncomplimentary to the person and Government of President Muhammadu Buhari. In a statement, the SGF says both are giving erroneous impressions that by their arraignment, it is the entire legislature and not their individual personalities that are on trial. The statement adds that bringing the entire national assembly into this court case of alleged forgery against the four accused persons is unwarranted. It therefore calls on those concerned to allow the rule of law to take its due course and not impute other considerations into the process. The case before the judiciary it adds is not being decided by the executive arm of government but by the judiciary. The House Committee on Federal Capital Territory has asked area councils chairmen to disengage all their consultants to reduce cost. Chairman of the committee stated this when he led other members on an oversight visit to the councils within the territory. The leadership tussles within the people’s democratic party, pdp has continued to generate tension within the ranks of the party as loyalists from each faction accuse the other of anti-party activities. 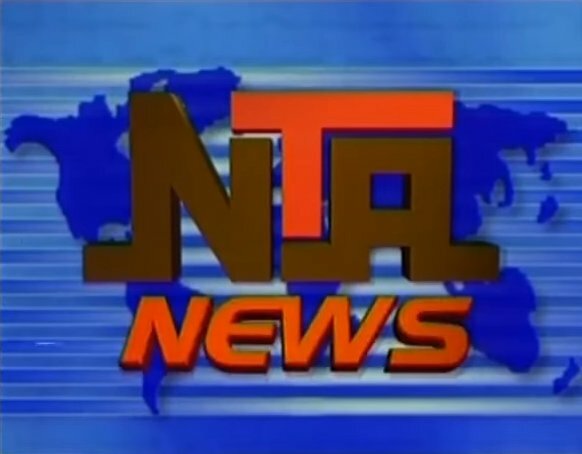 nta current affairs programme, good morning nigeria today focused on some recent development within the party. Factional National Chairman of the people’s Democratic Party, senator Ali Modu Sheriff has dismissed reports in some sections of the media of his removal by an Abuja high court. A statement signed by the special adviser media and publicity to the Factional National Chairman, Inuwa Bwala described the publications as false and an attempt by desperate politicians seeking to take over the leadership of the PDP through the back door. The statement adds that Ali Modu Sherif was not a party in the reported suit, neither was his name mentioned anywhere in the ruling. It also explained that the court merely voided the processes leading to the amendment of the PDP constitution in 2014, while sheriff’s emergence was covered by the provisions of the amendment of that same constitution of 2012. The low representation of Nigerian women in politics which is recorded to be eight percent has been attributed to several challenges entrenched in cultural and religious barriers. At the public presentation of the findings of the coalition of data on women participation in politics from 1991 to 2015, minister of women affairs and social development Aisha Jummai Alhassan called for proactive action in addressing the issue.